Our all time classic workshop - Bath Bombs. What fun! 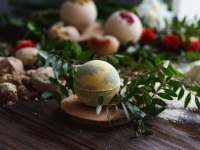 We will provide all the ingredients to create 3 bath bombs you take home together with a fool proof recipe. Join us for this dusty, fun and creative evening and get inspired to make your own healthy gifts for the holidays. Call us at 406-257-6622 to RSVP or e-mail us at office@kettlecare.com. Workshop price is $10 per person. Please prepay to reserve your spot. Refreshments will be served. We are looking forward to a fun evening with you.